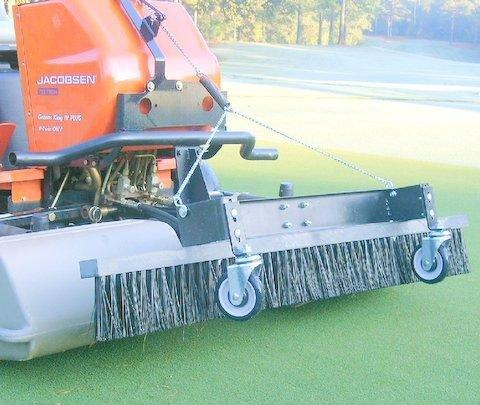 Triplex Brush Attachments that fit most Jacobsen Mowers. Brush and mow at the same time catching the clippings. 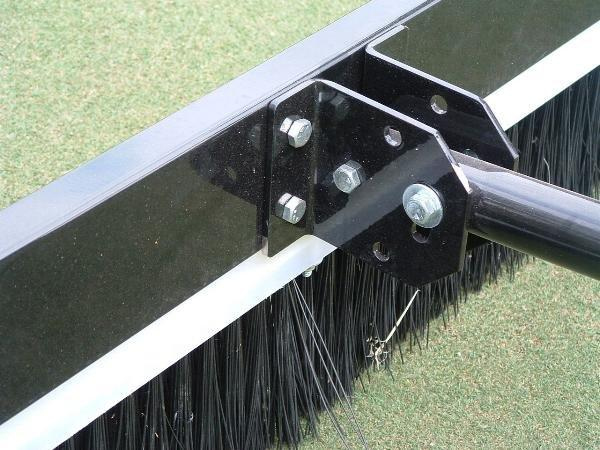 Daily brushing increases smoothness for a true ball roll. The most effective, efficient method to brushing your turf: One man, one machine, two tasks! 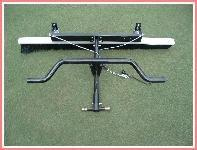 Lock position allows normal Triplex use without removing brush. Brush head is fully adjustable. Long synthetic bristles walk through the turf, lifting plant blades just before cutting. 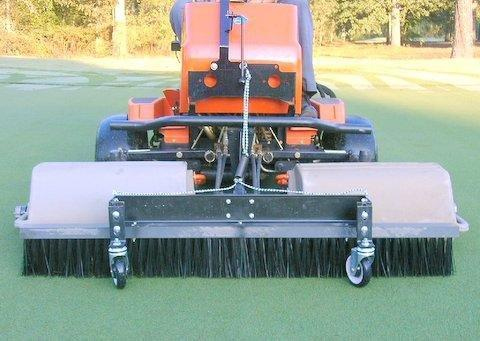 When used daily, brushes reduce grain and frequency of verticutting. Synthetic brushes resist wear and the elements. Durable steel construction, powder coated for longer life. For more information on TC Group Brushes, call us (808) 671-2811, Toll-free Interisland (800) 628-9328, or visit TC Group Brushes.